Ahhhhh… Inspiration. It’s that time time of year everyone can use a little of it. Whether you are planning your wedding, helping to plan your best friend’s, or just looking for some classic prettiness; Nicole and Danny’s Creme, Blush, and Black Wedding does the trick. 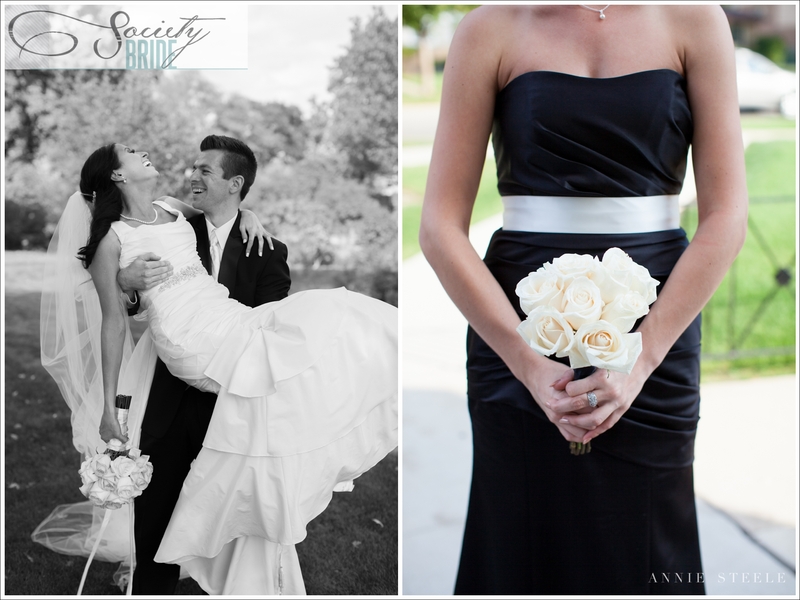 I was so excited to see this lovely wedding FEATURED on a truly inspiring Wedding Blog! Simply put, Society Bride Blog gives you a daily dose of awe-inspiring wedding essentials and an incredible community of artists and venues. Check out their lovely feature and stay to discover beautiful real weddings, hot-off-the-runway fashion, bridal beauty must-haves, style-savvy tips and tricks and expert advise from top-notch wedding pros. Even though this gorgeous wedding was last Fall, fall in love with their classic style as you will see for years to come. Nicole’s stunning mermaid gown, classic black tuxedos, soft roses, and fitted, black bridesmaid dresses will never get old. Enjoy the feature and be sure to leave some love for this lovely couple!